There's still a couple of months to go but what a year it's been: new phones, new apps, new versions of Android and iOS and more besides. 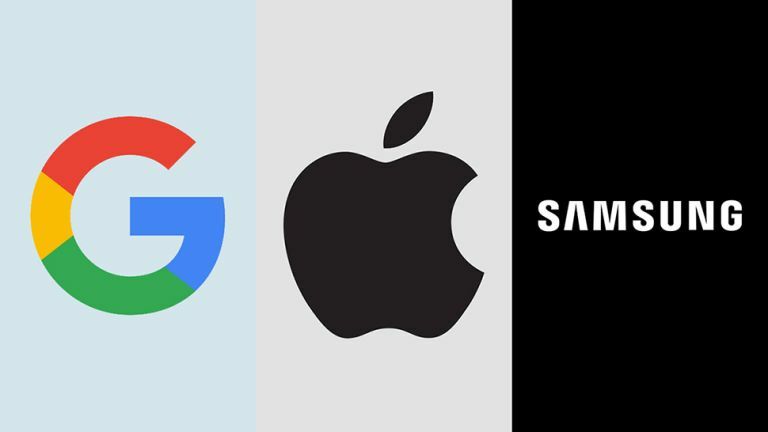 But out of the big three names in mobile phones - Google, Apple and Samsung - which has enjoyed the best 2017 so far? There's a lot to weigh up here, from the flagship smartphone launches from each company, to the work they're doing in the background on artificial intelligence and digital assistant apps. Here's our assessment of how everything stands as we head towards 2018. Most recently we've seen a flurry of hardware from the Google camp: new Pixel phones, a new Pixelbook laptop, an updated Daydream View headset, more Google Home speakers and wireless earbuds that can handle real-time translation as well as your music. It's too early to say whether these devices are going to be hits or misses but from first impressions at least they look like decent bits of kit - stylishly engineered, well designed, and probably a touch on the expensive side as well. What's undeniable is that Google is getting serious about hardware as well as software, HTC business acquisition and all, with the Google Assistant spreading to more devices and the company now taking on everyone from Amazon and the Echo to Microsoft and its Surface line. It's easier than ever to go all Google. Elsewhere we had the solid if unspectacular release of Android Oreo and an emphasis on artificial intelligence at the Google I/O developer conference in May. Those AI smarts are where Google is really leading the field, powering everything from facial recognition in its photos software to language translation on the web. With a lot of impressive product launches and refinements, and no real disasters to speak of, we'd have to say it's been a good 2017 for Google - even if it hasn't exactly revolutionised the tech world over the last 12 months, it has made some important steps forward and laid the groundwork for what it wants to do in the future. Apple's year has been dominated by the iPhone X of course, though there's still some uncertainty about just how much stock is going to be available for the next few months and just how well that new Face ID feature is going to work in practice. The iPhone X might not have broken much ground in terms of new features, and the bezel-free display had already been done by several Android manufacturers before Apple got round to it, but nevertheless it seems to be the phone a lot of users have got their eye on for their next purchase. Aside of that flagship iPhone it's been a relatively quiet year for Apple, with minor refreshes to its tablet, its Apple TV box, and its smartwatch. In terms of new products the big one for 2017 has been the HomePod speaker - it certainly looks appealing from what we've seen of it so far, and it goes on sale in December. On the software side, iOS 11 had plenty of useful new features, and Apple's push into augmented reality is particularly interesting. It's been playing catch up so far in terms of AR and VR so far, but that could change during 2018 and beyond. Add in some less-than-breathtaking laptop and desktop refreshes, and it hasn't been a spectacularly good or a devastatingly bad year for Apple - as has become the norm over the last few years, much of the company's fortunes depends on the iPhone. And so to Samsung, which has hit the ball out of the park with three smartphones this year: the Samsung Galaxy S8, the Samsung Galaxy S8+, and the Samsung Galaxy Note 8. That's quite an achievement, particularly after the debacle that was the Galaxy Note 7 launch and eventual recall last year. There have been new wearables, and laptops, and initiatives like DeX too, but it's really the smartphones that have defined Samsung's year - what's more, the company was one of the first out of the gate with new hardware at Mobile World Congress back in March. Samsung has its finger in a lot of other pies as well: televisions, smart home kit, displays, kitchen appliances, VR headsets, and so on. On those fronts, we haven't seen anything too game-changing from the South Korean company, though pretty much everything they've put out in 2017 has been of good quality. In recent years Samsung seems to have been focusing on its heavyweight battle with Apple, and on that front you could certainly argue that Samsung has come out on top in 2017 - three fantastic new handsets to Apple's two run-of-the-mill upgrades and one boundary-pushing phone. Less impressive is Bixby, the virtual assistant Samsung unveiled this year - though we'll give Samsung the benefit of the doubt here and say it's still early days for the software, with room for improvement in 2018. So who has had the best 2017 then? If you're just asking who's released the best phones over the last 12 months, then it surely has to be Samsung - the Galaxy family of updates look stunning and have been earning rave reviews across the board. As we said above, for Apple a lot rests on that iPhone X: take the flagship, tenth anniversary phone away and suddenly it looks a very ordinary year indeed for Apple. On the other hand, if the iPhone X proves to be a hit, and if Apple can keep up with demand, 2017 starts looking a lot better for the Cupertino company. Google has had a very good 2017 too, though in contrast to Samsung it's perhaps the smartphones that are the least impressive launch of the year from Mountain View. There's nothing wrong with the Pixel 2 or Pixel 2 XL, but unless you really love Google's stock Android software you would be hard pushed to say they're a better buy than a 2017 phone from Samsung or Apple. What Google has managed to do is build out a decent hardware portfolio and push forward with its AI efforts, and across the whole range of its products and services it can perhaps be more content than either of its two big competitors. Who has come out on top in 2017? If you're going to push us, we'd have to say Samsung, just for the quality of the mobile phones it's released this year. Apple and Google are close behind though, not just in phones, but in all the other gadgets and apps that we rely on. What about the future? How can Apple improve on the iPhone X?